Losing a pet is a tough time in any pet owners life. 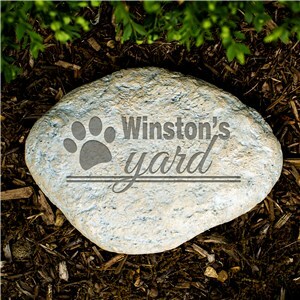 The best way to keep their memory alive is through a memorial which can be displayed in your home garden. These pet memorial garden stones are made of a durable and lightweight resin material that works well both indoors and outdoors. Engrave with a personalized message and/or pet's name to create a heartfelt resting place for your dog or cat. 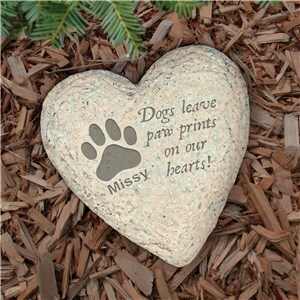 I bought this as a gift for a friend whose very loved pet had passed away very recently. The ornament I received is wonderful! The picture is clear, the engraving perfect! I have to mention as well -gifts for you now’s customer service is awesome!! My ornament was delivered to the wrong address- I contacted customer service & they replaced it immediately! I’ve purchased a couple items recently from giftsforyounow & I’ve been very pleased with everything! !